Saudi Arabia will cave on its strategy since late 2014 of maintaining production levels (and, accordingly, market share). 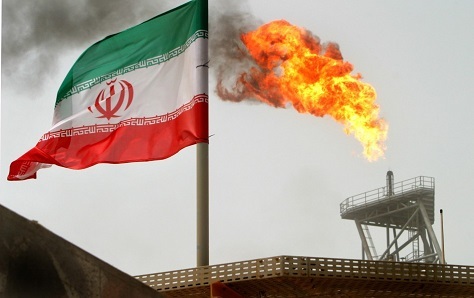 Increasing international engagement in Iran and the lifting of UN sanctions against Iran will not result in a material increase in oil supply on the world market. New entrants, like Ghana, will not pursue development of newly discovered oil deposits, despite the promise that those deposits can materially enhance economic growth. US shale production decelerates instead of finding ways to adjust to the new price environment and US oil production correspondingly falls, materially lowering the supply curve. The decades-long tensions between Saudi Arabia’s Sunni monarch and Iran’s Shiite republic exacerbate this year to the point where it reduces the cumulative oil output of both Saudi Arabia and Iran. Libya and Iraq, already nearly failed states, will produce even less oil than they are producing at current levels of political dysfunction. In November 2015, the two countries together supplied 4.69 million barrels of oil per day, nearly half the amount that the world’s leading producer, Saudi Arabia, supplied (10.19 million). US demand for oil rises so much, due to lower prices, that the demand curve increases sharply. But that would require a cultural shift back towards more driving and higher car ownership at a time when the Millennial generation seem to shun cars at a higher rate than previous generations. Chinese demand suddenly returns in an environment where GDP growth is declining and the yuan is rapidly weakening, and where premier Li Keqiang believes that the ‘bazooka’ strategy of unleashing ever stronger stimulus on infrastructure projects is no longer effective. Brazilian demand suddenly returns in an environment where GDP growth is likely to turn negative and a political crisis over corruption and inefficiency could result in the impeachment and removal of president Dilma Rousseff. India’s new-ish prime minister Narendra Modi will suddenly find the magic key to unlock rapid development after nearly two years of misfiring on enacting reform through the Indian parliament, despite a very strong majority.